The two-dimensional (2D) monolayer transition metal dichalcogenides (TMDs), with atomically thin honeycomb-like lattice and a direct band gap, provides an ideal platform to study strong light-matter interactions. Recently, single photon emitters (SPEs) with narrow linewidth and long lifetime have been observed in TMDs such as WSe2 and MoSe2, making them attractive for quantum optics studies where the quantum nature of light plays an important role.1 SPEs are a key requirement for most quantum communication protocols. They can also be used as nano-sensors due to their atom-like discrete energy spectra which is sensitive to electromagnetic and chemical environment. 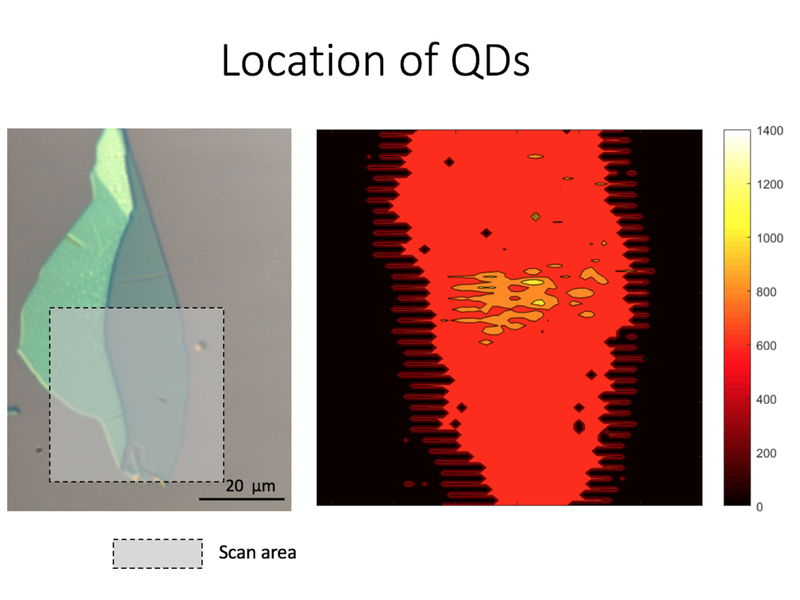 SPEs in TMDs arise possibly from the trapping of excitons, either by defects/impurities or by localized strain on the 2D membrane, offering ways to controllably introduce them on an otherwise pristine sample. 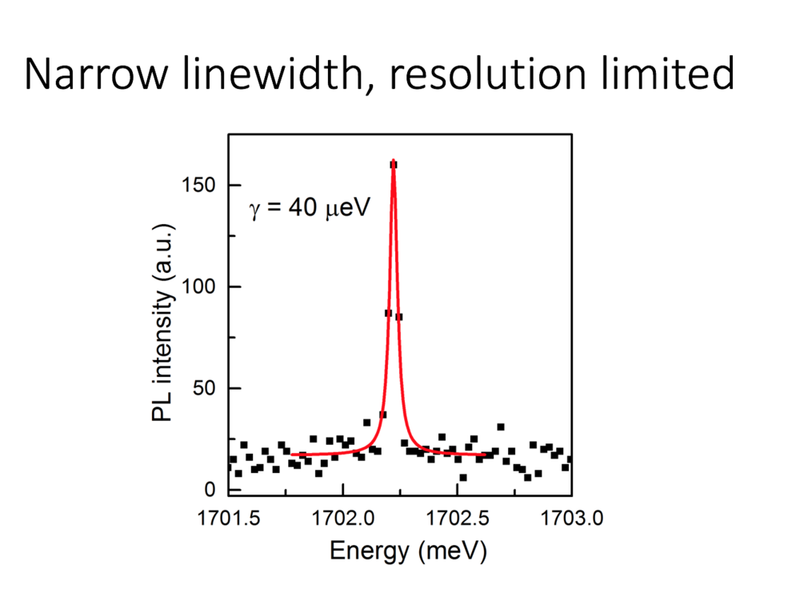 Currently, we are investigating the energy spectra and dynamics of these emitters using tools from quantum optical spectroscopy such as high-resolution resonant fluorescence (RF) spectroscopy at low temperatures and photon correlation measurements employing time-correlated single photon counting modules (TCSPCMs). Our goal is to create an array of SPEs in a controllable fashion with external knobs to control their emission properties and also introduce light-matter coupling between them. Besides being useful for quantum information science, such an exquisite control will also allow us to engineer many-body states of light-matter at the nanoscale. 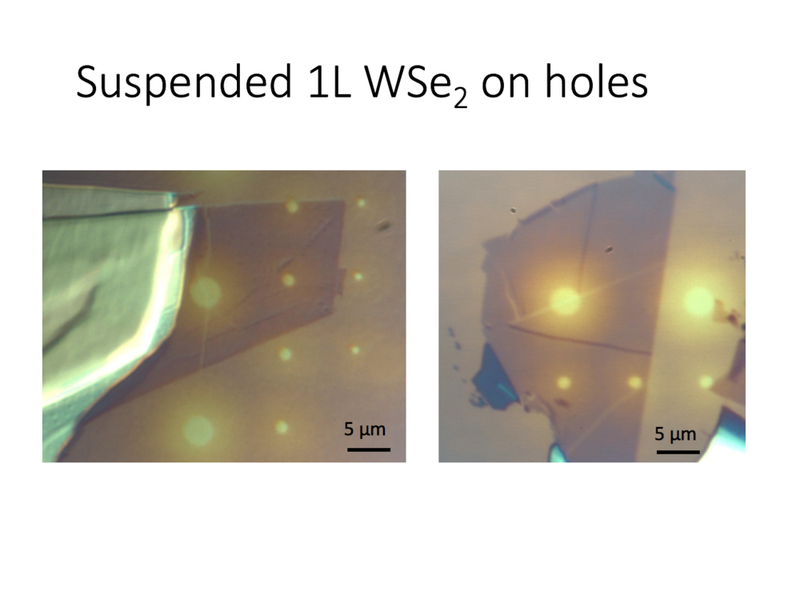 1 “Optically active quantum dots in monolayer WSe2,” A. Srivastava, M. Sidler, A.V. Allain, D. S. Lembke, A. Kis, A. Imamoglu, Nature Nanotech. 10, 491-496 (2015).